To secure an exotic and high-performance vehicles for the filming of the video can be expensive and difficult. The vehicle availability, location, and filming, as well as to set up the perfect image for the film or advertising very difficult. With the Blackbird, a company called The Mill allows to record an automotive content without the need of particular vehicles presence. 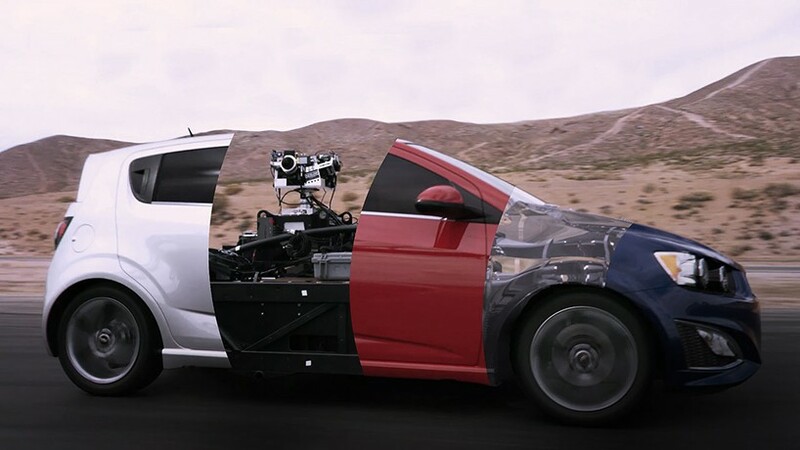 Blackbird is the first car in the world that is fully customizable as well as not only can change the chassis to adjust the right lengths and widths of the to almost all brands of cars, but the car's appearances can also be changed. Recently, as quoted of Autoblog, by using CGI techniques, Blackbird can be changed body to look like any car, and the electric motor can be programmed to mimic the driving characteristics of the emulated cars. And now the automotive content producer no longer need the original vehicles for filming because of Blackbird can do.